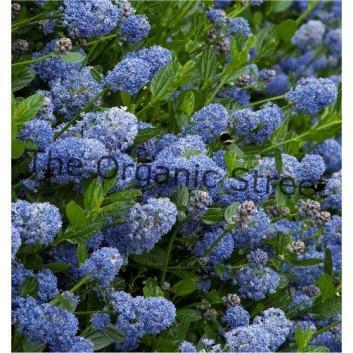 Plant Ceanothus in fertile, well-drained soil in full sun. Avoid frost pockets and exposed situations. To provide shelter from strong, cold winds, Ceanothus is often best planted against a south-facing wall. Deciduous species and cultivars, such as ‘Glorie de Versailles’, can tolerate more exposed situations. Mulch in late winter or spring with bulky organic matter, such as garden compost or well-rotted manure. Keep the base of the shrub free from mulch. To encourage new growth, apply general a balanced fertiliser after pruning in spring at 70g per square metre (2oz per square yard).